A former boxer is suspected of viciously attacking riot police officers with his fists and feet during the latest yellow vest protests in France has turned himself in and was placed in custody on Monday, authorities said. The suspect, identified by French media as retired fighter Christophe Dettinger, was filmed beating up police officers Saturday in Paris. The videos went viral on social media and created an outpouring of comments either praising or lambasting the man’s actions. 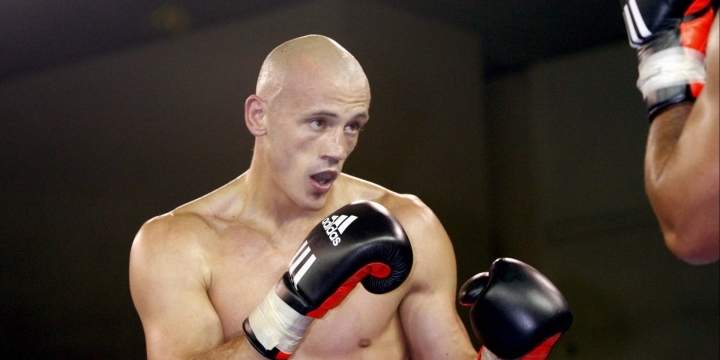 The boxer, 37-years-old, is a former French champion in the light heavyweight division. He’s been inactive since 2013 and walked away with a record of 18-4 with 7 knockouts, after getting knocked out by Jean Marc Monrose in December of that year. “I think he lost it. People can be impulsive; I can be, too,” his former trainer, Laurent Boucher, told France Inter radio. In a video message recorded before he surrendered to police, Dettinger acknowledged his wrongdoing but said he just tried to defend himself after he and his wife were tear-gassed by police. The fighter was involved in at least two fights in downtown Paris on Saturday. On one video, he can be seen aiming several punches at an officer trying to protect himself with his shield on a Paris bridge close to the National Assembly, the lower house of parliament. In another video , wearing a black hat and gloves, he kicks a police officer lying on the ground.